I mentioned that this year I put Evie to work making Christmas gifts. 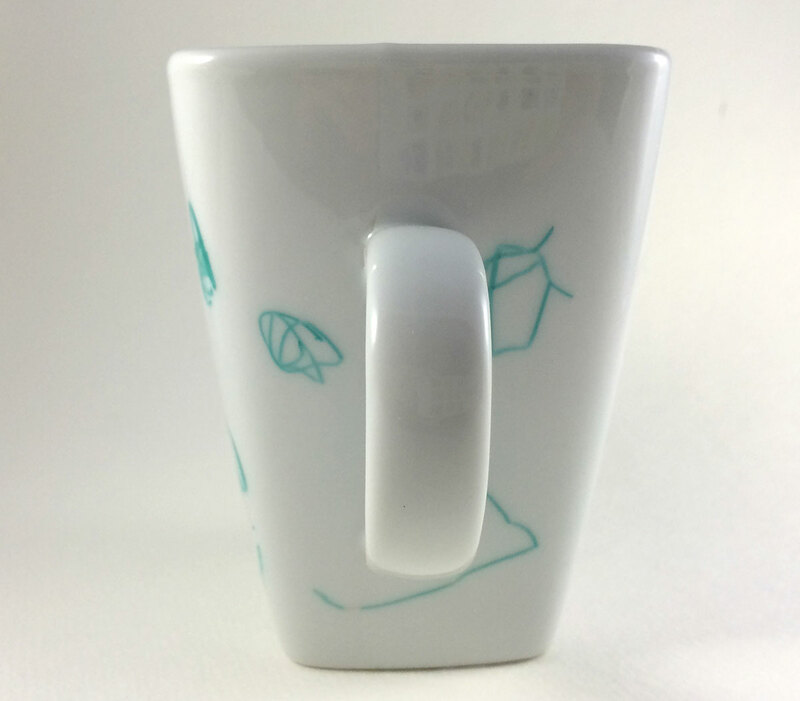 One of the things she made was a Sharpie mug, which I’ve seen floating around Pinterest for months now. There are so many different tutorials, but they are all pretty standard, here’s a good one from Somewhat Simple. A Beautiful Mess has a cute version too. 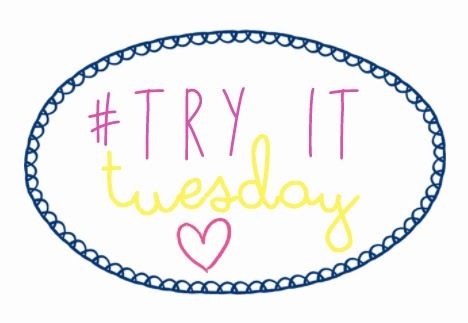 This was actually a recent Try it Tuesday project over at Trends with Benefits, the Try it Tuesday pioneers! 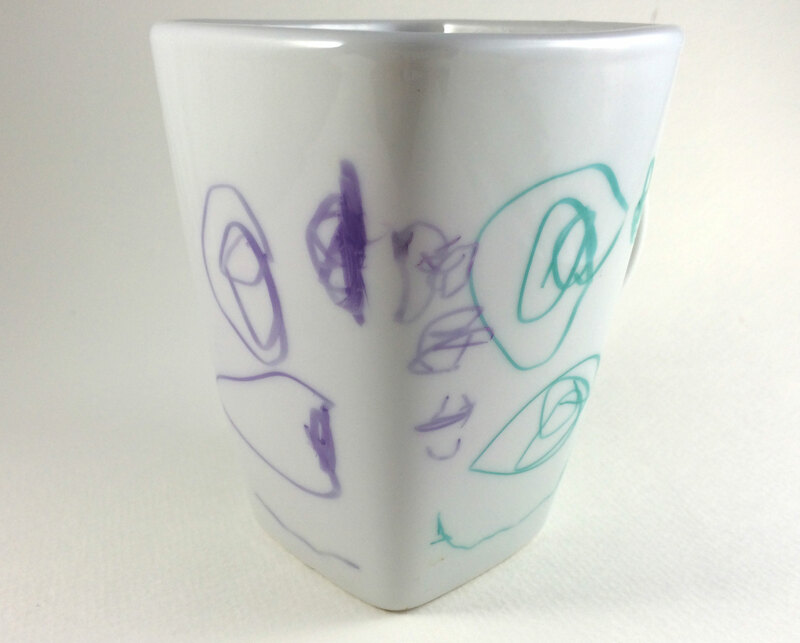 We went to Michael’s and she picked out pink, purple, and blue Sharpies for this mug for her grandpa. They aren’t the most manly colors, but the girl knew what she wanted. Evie has recently started drawing faces and it is my favorite thing ever. 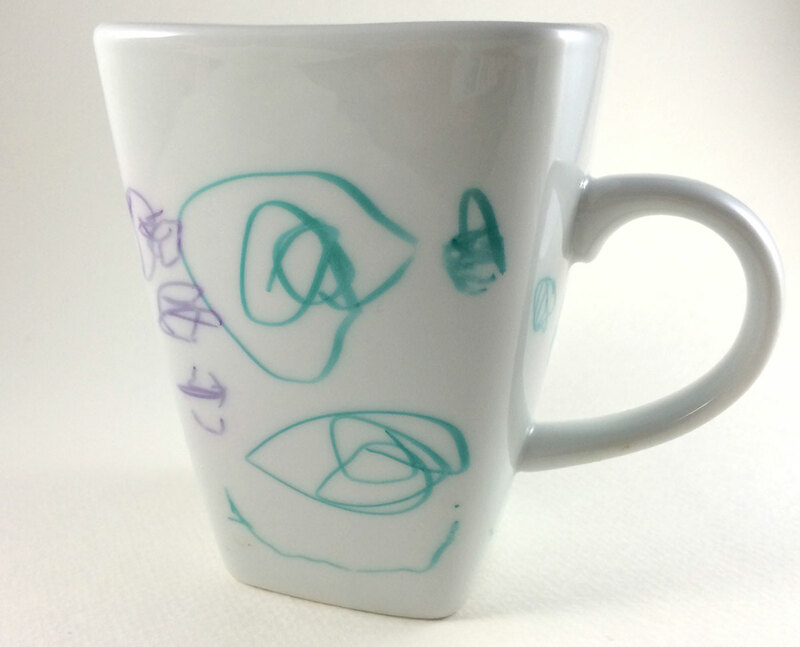 So this mug has drawings of her grandpa, Evie, Mira, Josh, and I. This is in the Tatertots and Jello link party. So cute! I had the kiddos do this for a Santa milk and cookies mug and plate. It was so cute, but the baking turned our red pink and the green to a shade of gray if it didn’t completely disappear. I may just let them color it again next year – at least the black writing turned out perfectly! 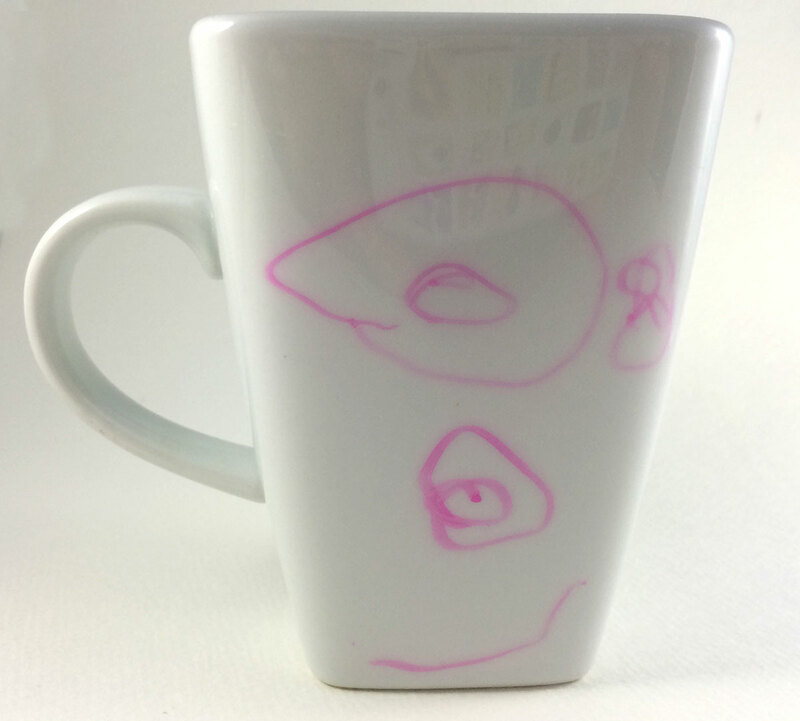 I absolutely love those “face” scribbles, I bet he loved it! Oh that’s an adorable idea to do the Santa mug and plate! I’ve read that the red Sharpies don’t work well. The colors definitely faded a bit but they weren’t too discolored. These are adorable! Such a fun idea! my husband didn’t want to give it up. She’s going to have to make him one soon!